Read barcodes of all shapes and sizes. Not all barcodes are created equal. 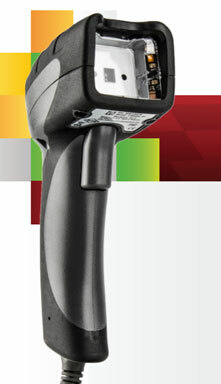 Enter the CR6000, an industrial grade direct part mark (DPM) imager designed to scan barcodes of every sort. The CR6000 effortlessly reads laser-etched, embossed, dot peen, low-contrast, and postal barcodes. It easily decodes dense and extremely small barcodes. Designed with multiple illumination fields, the CR6000 intuitively selects the field that is most efficient at reading each barcode type. This results in quick and accurate data collection from hard-to-read surfaces, damaged barcodes, and those that are smudged, dirty, or even caked with debris. This makes the CR6000 ideal for component tracking on assembly lines and other manufacturing applications. In tough environments, a tool you can rely on. Versatile and efficient, the CR6000 is an essential tool for high-traffic manufacturing operations with less-than-ideal environmental factors. With a durable, easy-to-clean plastic housing that protects against dust and dirt, the CR6000 is built to last with unrivaled performance and quality.